"Forum des images , the place where cinema speaks up." Such is the promise the Forum des images holds as it sheds light on and raises questions about today's society through its yearly programming, events and discussions. Its role as an interface between a work and the audience is expressed through a dual activity at the foundation of its mission: preservation and programming. The singularity of this unique institution is to combine commonly dissociated missions in a coherent and mutually enriching fashion. 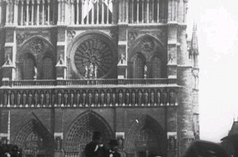 One of the Forum's original missions was to compile a living memory bank of Paris, one of the most frequently filmed cities in the world. With over 5,000 hours of digital content, the collection––which harbors footage of the capital dating from 1895 up until today––holds an array of formats and genres: documentaries, news reels, advertisements, fiction, shorts, medium-length and feature films, etc. The collection, which continues to expand every year with the acquisition of film rights and prints, forms an invaluable heritage for Paris and Parisians. Since 2008, "parallel" have entered the collection––with works from La Fémis, Les Films d’ici, L’Agence du court métrage, Lobster, Canal du savoir, pointligneplan, Ciné-Archives (The French Communist Party's audiovisual archives) and the Centre Simone de Beauvoir and Mosfilm collections, etc.––in the hope of supporting young filmmakers and film and television productions which are absent from mainstream circuits. Since its creation in 1988, the Forum des images has established a special place for itself in the audiovisual landscape of Paris. The specific perspective that it strives to develop on cinematic art strengthens its legitimacy; a legitimacy that rests in particular on the film series it offers, cornerstone of its programming policy. Programming by theme allows the Forum to create a resonance between a great diversity of works, eras and points of view. Audiences are invited to (re)view, in an original, new and eclectic way, major social themes as seen through the camera lens. Throughout the year, the program is accompanied by festivals, discussions, debates, workshops, Master Classes, film courses and events. 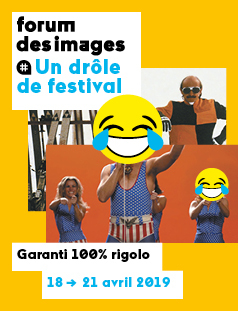 With over 2,000 screenings each year, the Forum des images offers cinema-lovers of all ages a rich and diverse selection. At its location on the Rue du Cinéma––where several facilities dedicated to cinematic art coexist, including the François Truffaut Library of Cinema and the movie complex UGC Ciné Cité Les Halles––the Forum des images offers complementary and innovative activities on a daily basis. Bringing together, inter-connecting and comparing so many diverse works increases the possible ways in which to interpret each one: such is both the belief and ambition of the Forum des images , all the more firmly asserted that the Forum is open to all types of film documents and to all audiences. 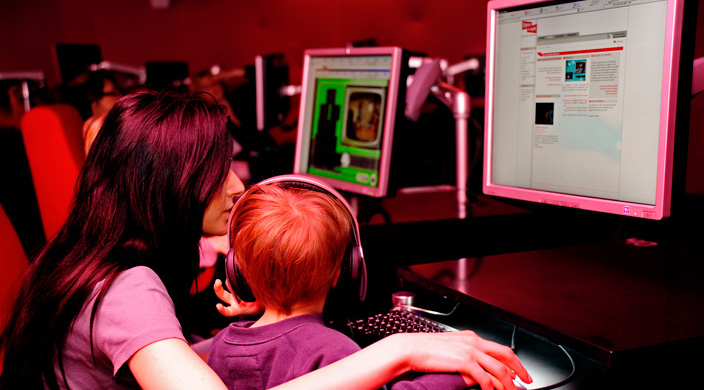 From neophytes to the most specialized movie buffs, from 18-month-old children to students, from researchers to industry professionals, all come together in the 5 screening rooms, conference rooms, workshops or even the collection room, which offers free and immediate access to 7,500 digitized films. The Forum des images strives to offer easy access to the greatest number of people and this is perfectly embodied by the Salle des collections, which revolves around digital technology. The highly eclectic collections are very carefully curated: discovering "the city's audiovisual memory bank" is innovative driven by search engines. They offer multiple entries and tools: clickable maps of Paris, interactive games and texts organized by theme, which are an invitation to discovery… This collection of films is viewable on site and is also linked to a larger body of films from around the world that have Paris as subject or setting. The Forum des images database, which is available on the Internet, has become a standard reference tool for finding film documents on Paris and now reaches beyond the scope of its sole collection. Open to and curious about all forms of research and critical thought, the Forum des images does more than just offer screenings in multiple, original and inventive conditions. 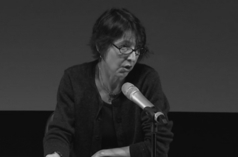 If the institution makes a daily effort to ignore distinctions of genre, format and artistic expression, it is also very keen to bolster its screenings with interesting perspectives, rich debates and pluridisciplinary conferences with special guests: French and foreign filmmakers and actors, sociologists, philosophers, historians, critics, authors or city planners, all come to discuss––among themselves and with the audience––the issues each film raises. Through its Académie, the Forum des images is able to offer Master Classes, film courses, workshops… all unique and privileged, instructive and enlightening, unconventional and personal moments about great names of the silver screen, its founding themes and life behind the scenes. Apart from programming films specifically intended for younger audiences, every year the Forum welcomes close to 30,000 students from day-care to high school, who come to screenings and participate in activities centered on film, the city of Paris and social themes. They compare film documents from yesterday and today with the help of multimedia analytical tools. The Forum's educational approach pays special attention to the personal, emotional and critical expression of school children. Teachers can also sign up for classes or workshops and benefit from direct access to the exceptional audiovisual collection. The Forum des images is also a partner of choice for those who wish to develop specific projects in line with state curriculums or in collaboration with the Ministry for the Arts and Communication.